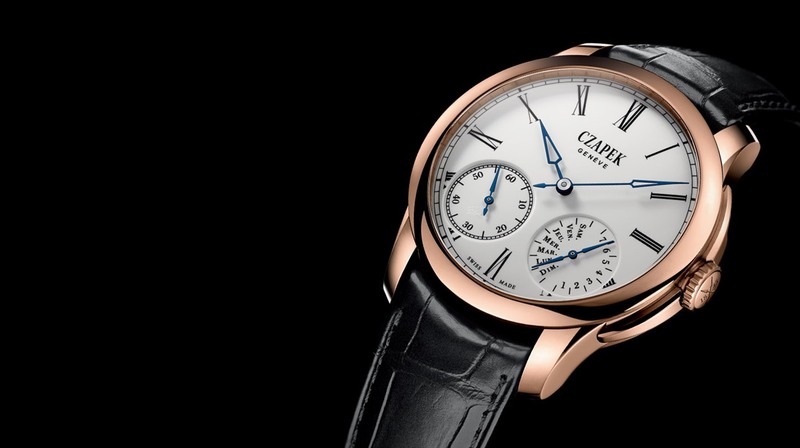 François Czapek arrived in Switzerland soon after the Polish insurrection, and his remarkable watchmaking talents soon made him a key figure in the field. These models also celebrate the birth of the “SXH1” calibre, a mechanical movement specially developed for Czapek by Jean-François Mojon. 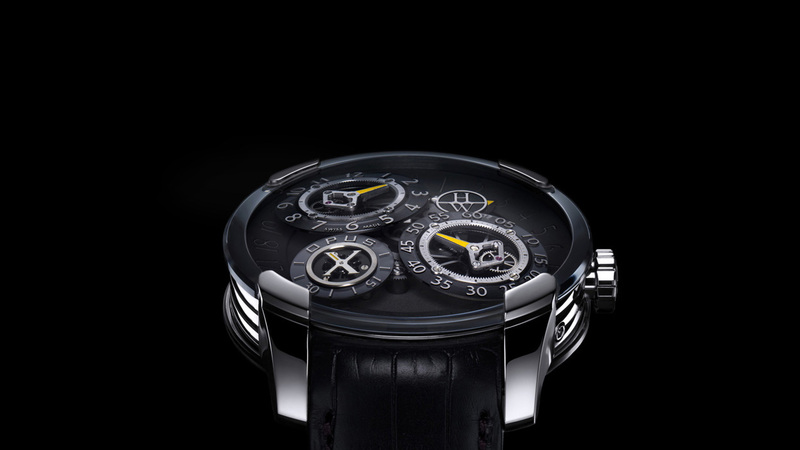 The new Klepcys Chronograph was unveiled at Baselworld 2015.
he two crowns, placed facing each other, share the roles between them: Start/Stop for the right-hand one; and resetting for the one on the left. While the notion of balance is the cornerstone in developing this product, it was directly inspired by Leonardo da Vinci’s famous statement : « Simplicity is the ultimate sophistication ». The Breva Génie 01 is the world’s first wristwatch with time, altimeter, barometer – for forecasting the weather – and power reserve indications provided by a fully mechanical movement, much of which is on display through the open dial and display back. 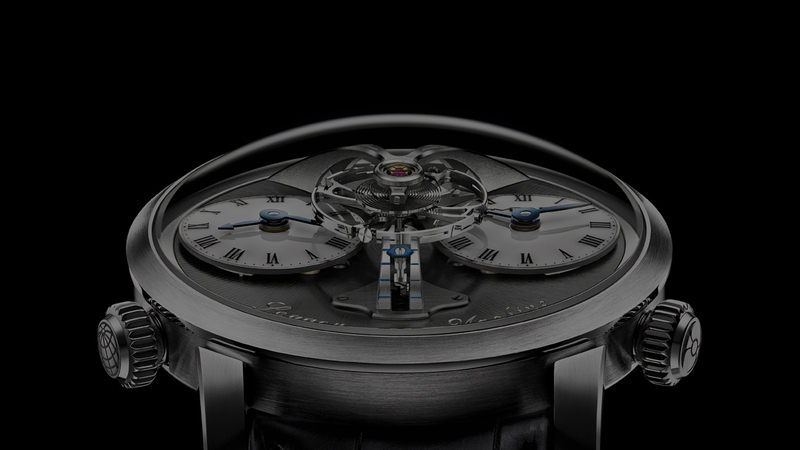 The proprietary movement of the Génie 01 was developed exclusively for Breva by Jean-François Mojon/Chronode. The main challenge lay in finding an interface between the mechanical movement and the hydro system in a closed, waterproof circuit – a task further complicated by the limited space available to house them both. They had to be assembled separately to keep them independent, and then made to operate simultaneously. With Legacy Machine N°1, MB&F has majestically reinterpreted traditional 19th century watchmaking excellence to create a contemporary, three-dimensional objet d’art. The retrograde hand moves along the 180° axis and changes colour (while rotating the 180 degrees) depending on the time of day (day or night). Then observe the date display. The units digits (from 0 to 9) rest one on top of the other, while the tens digits change before the units digits. Whenever a tens digit reaches the number 9, it moves in retrograde and rotates 90 degrees, leaving room fort he next tens digit that will be placed before the digit 0. Finallay, a full moon with realistic crater images links the watch to the sky. 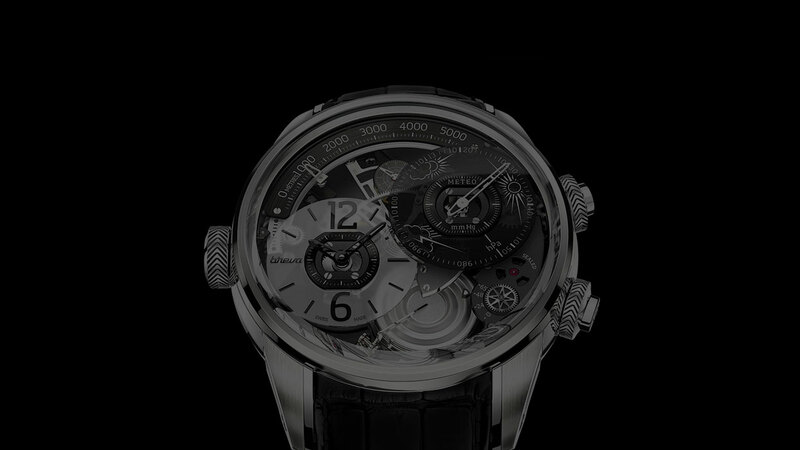 The conception of the mechanical movement and its 472 parts driving the tenth Opus ( released in 2010 ) is a collective effort in which Chronode and designers joined forces to establish a strong partnership. 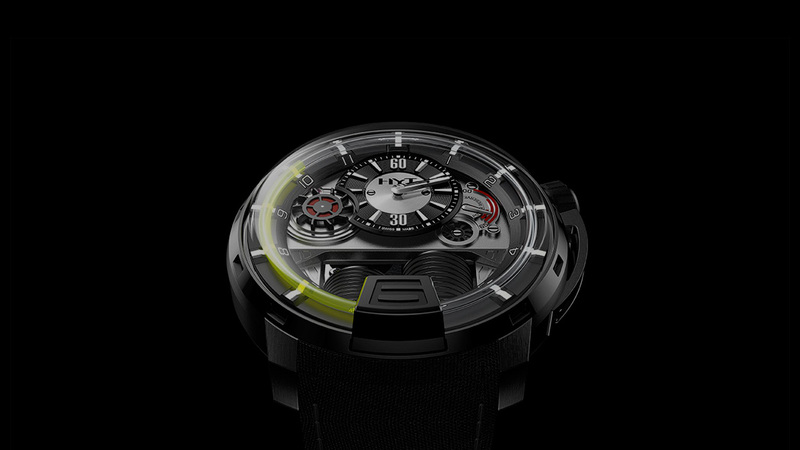 Opux X is the epitome of top-flight horology that has been rethought on all levels : movement conception and construction, display model, styling. 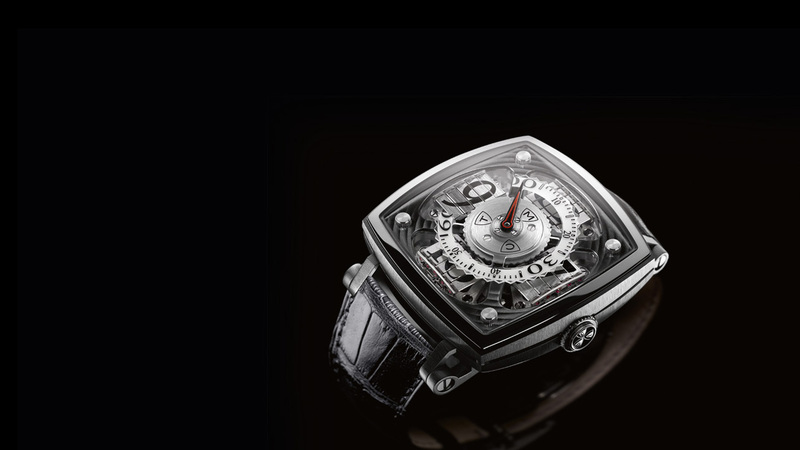 Sequential One is technically daring, highly complex but classically elegant. 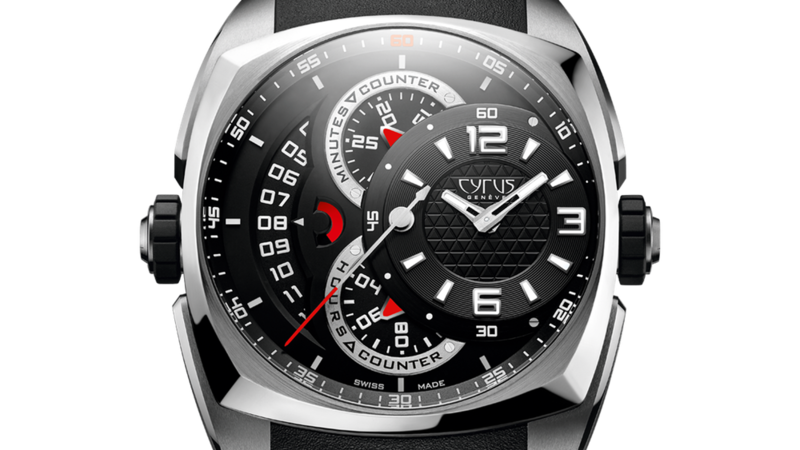 The face of the watch is contemporary, featuring our patented prism display system and oversized hour numerals. Born from the intense competition between the finest marine chronometer-makers, the first detent escapements appeared in the late 18th century. Extremely sensitive to shocks, this subtle mechanism was considered to be inapplicable to wristwatches. 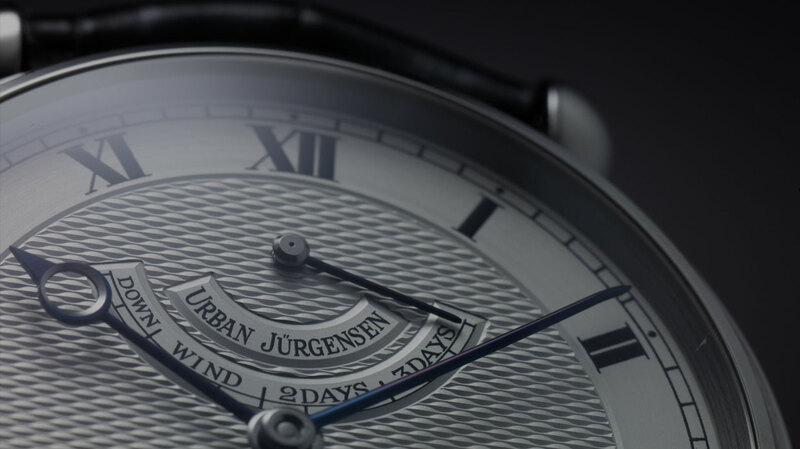 Our movement design engineers rose to the challenge and created a world first by successfully incorporating it within a calibre intended for Urban Jürgensen & Sønner (UJS08).